First of all to I will explain a couple of points about the the spine. The human spine as we all know is formed by a series of curves from the head down to the coccyx (tail bone). First we have the neck, the cervical curve, formed of 7 vertebrae. Next we have the chest, the thorax along with the ribs, formed of 12 vertebrae. Next is the lower back, the lumbar region (subject of this blog), formed of 5 vertebrae. Finally we have the two sets of fused bones the Sacrum (comprised of 5 fused bones to make one unit) at the base of our spine and the much smaller Coccyx (comprised of 4 fused bones and also know as our tail bone since it is the last vestige of the tail the our evolutionary ancestors possessed). Each section of the spine forms a curve with the section below being a curve in the opposite direction to the one above. So the cervical curve is an anterior curve (towards the front) with the Thorax being a posterior curve (towards the back), the Lumbar is anterior with the Sacral/coccyx curve being posterior again. Both the anterior curves, the Cervical and Lumbar curves are termed a secondary or Lordotic curves. Both the posterior curves the Thorax and Sacrum/Coccyx are termed primary or Kiphotic curves. Primary and Secondary curves are called this because in the womb the only curve we have is fetal curve, a primary curve where the whole spine is curled up in an anterior direction. The secondary curves are produced as the baby first learns to lift it’s head up to form the Cervical curve and then learns how to crawl where it then forms it’s Lumbar curve. This is why the crawling stage with the baby on it’s hands and knees is an important stage and should not be rushed. So the spinal curves are completely natural. It is only when the curves become exaggerated that a postural problem might be indicated usually accompanied by pain in the client. The right hand image of the picture above shows an idea of “good posture”. Whilst it does indeed show good posture this does not mean that everyone should alter their posture to exactly this. Simply because some people’s spinal/Sacral curves and spinal mechanics (the way that the spine moves/functions) will never allow them to be like this and yet will be perfectly normal. If there is no pain then they are usually fine. As a therapist we must resist the urge to alter a client to some perceived ideal unless the person presents with pain. Pain is the bodies way of alerting us to a problem within the body and the old adage “if it ain’t broke don’t fix it” is very true in it’s absence for a therapist. A therapist will note the clients spinal curves/mechanics and will test for muscular imbalances (and treat these if found), ask about exercise regimes and will bear in mind potential problems the client may have with a type of sport or activity but that’s it. More and more clinicians and therapists are recognizing there is a greater correlation between muscular strength, muscular firing/pattening and pain than there is between a person’s basic posture or spinal abnormalities on a scan say and pain. They are realizing that the ability of a client to control a neutral position of a particular body segment whilst moving another body segment is more important than a persons static posture. Two examples of what i mean are the ability of someone to maintain a neutral lumbar spine (the position mid way between extreme lumbar flexion and extension) whilst performing a deadlift or the ability of a client to maintain a static knee position over the second toe whilst moving the pelvis above in all directions- anterior/posterior tilt, hip hitch/drop and lateral rotation of the pelvis. 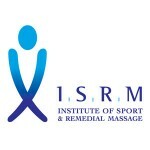 For a person to be able to do either of those movements in that way means that they have the muscular control over that body segment so that they are less likely to then move into more extreme joint positions (especially under load or with high speed movements) that could produce the pain provoking tissue stress. What follows from this realization is that static body postures, hyperlordosis etc, are only part of the story and the clinician needs to watch how the client moves (including under loads) to determine if actually they can control movements well or not. If not then that is what will require some work. 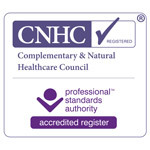 All this is also outside of advances in pain science that show that a person can be in pain because processes within the brain, where the circuits that give rise to the sensation of pain, have changed often irrespective of any postural conditions or any actual tissue damage in the area where the pain is felt. Part of this process is called Central Sensitization. Many Low Back Pain LBP cases fall into this category where chronic pain has changed how the brain processes incoming stimuli so that it “perceives” some simple movements as a “threat” so generating a pain sensation where previously there would have been none since no tissue has been actually damaged. As you can see our understanding of this area is changing and evolving rapidly! So, on to the definition of Hyperlordosis. It is usually considered to be so when there is bilateral anterior pelvic tilt greater than 10 degrees from horizontal in females and greater than five degrees for males (although different sources will quote slightly different angles). The hip joints will also be held in flexion. Hyperlordosis usually exists due to a muscular imbalance causing Lower Crossed Syndrome. Lower crossed syndrome was first postualted by the doctor Vladimir Janda who showed us that because certain muscles (the postural muscles) shorten in responses to stress and they in turn inhibit their antagonists on the other side of the joint due to Reciprocal Inhibition, usually phasic or conscious movement muscles. With lower crossed syndrome those muscles are the Iliopsoas/Rectus Femoris and the Lumbar Erector Spinae (see picture above but ignoring the Sartorius which is not a prime muscle in this). Other muscles involved are the Tensor Fascia Latae, Pectineus and other Adductors and the Quadratus Lumborum. These in turn then inhibit or weaken the Abdominal muscles, Gluteus Maximus and Hamstrings (but these may not be weak but overworking due to the Gluteus Maximus being inhibited. Your therapist will often test for a shortened Iliopsoas and Rectus Femoris using the modified Thomas test (shown here with John Gibbons the Oxford boat race team sports Osteopath doing the test). The left Iliopsoas is being tested here. When the thigh sits above horizontal as seen here then it is classified as short. 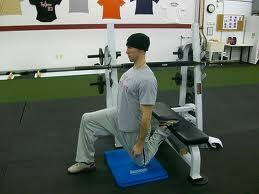 Generally a good length Iliopsoas will sit roughly around the horizontal. The Rectus Femoris (one of the Quadriceps group) is also shown short here as the lower leg should hand easily to 90 degrees, straight down and not out as here. 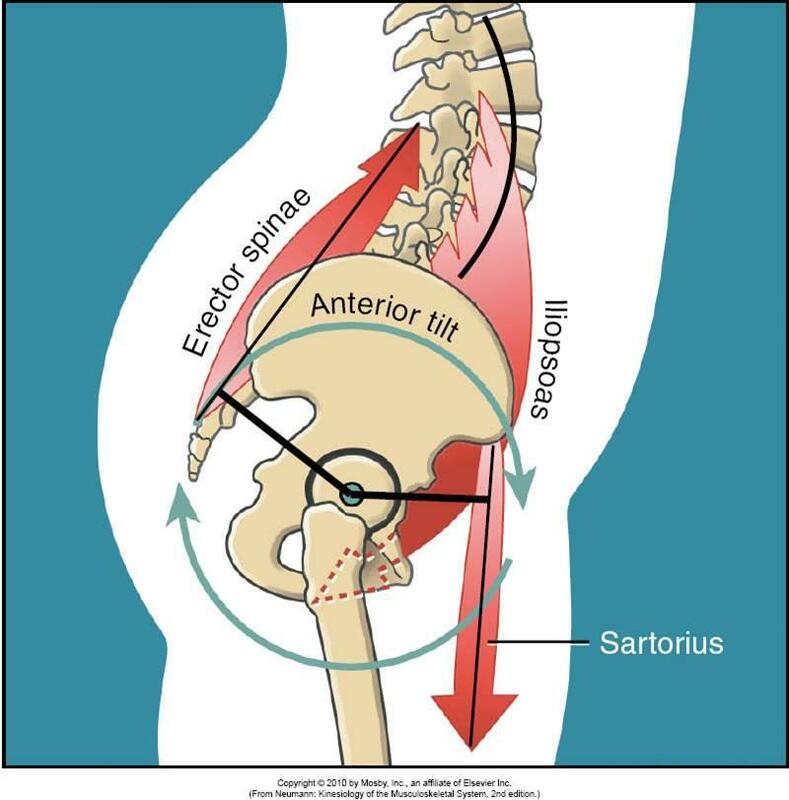 The Iliopsoas is the pivotal muscle in hyperlordosis since, as well as tilting the pelvis anteriorly thereby increasing the natural lordotoic lumbar arch it also inhibits the Gluteus Maximus when short by Reciprocal Inhibition so preventing the Gluteus from tilting the pelvis posteriorly (it can’t help to correct the posture since it is being switched off by the Iliopsoas). This then has other implications with walking etc as both the Hamstrings and Lattissimus Dorsi will overwork to try to compensate for the Gluteus Maximus not working fully. This is a subject for another topic however! Pain can arise from directly from Hyperlordosis due to the increased Lumbar curve causing the facet joints of the Lumbar vertebrae (the joints between the each vertebra) to remain closed during most movement. This leads them to become irritated from overuse causing pain through these joints rich supply of Noiceptive nerve endings. In addition to that the nerve roots that pass through the affected vertebral segment maybe compressed either by the hyperlodosis itself or by any extra extension (back-bending) movements made perhaps during yoga for instance. This type of nerve pain will often refer in a shooting manner along the nerve segment involved (down the antereolateral thighs or down through the Gluts/back of legs and into foot possibly). This diagram shows how the hyperlordosis closes the facet joints etc. Pain can also arise due to the tight ischemic (lack of blood supply) tissues of the lumbar area, the lumbar back muscles and surrounding fascia. Pain can arise from the overstretched tissues of the abdominals or Gluts. Both tight/ischemic and overstretched tissue will cause pain by stimulating Noiceptive nerve endings. Trigger points within the over-tight muscles are another source of potential pain. 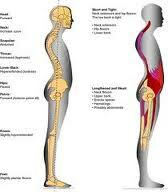 A good stretch to do do help self prevent Hyperlordosis is for the Iliopsoas. I like the example here because of his good upright trunk posture where he is not arching into his lower back as this is a common incorrect technique and will obviously only make the problem worse. Once you have released this muscle the Gluteus Maximus can then start to work again as it will no longer be inhibitied by Reciprocal Inhibition and so the Hamstrings will be able to start to relax also. Often if the problem has been there a long time then a visit to a therapist maybe required to help release the Iliopsoas as it can be hard to do and to help with the re-working of the Glut Max afterwards. 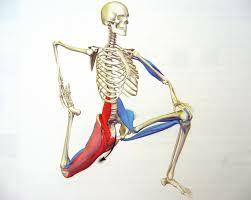 The skeleton is showing the same stretch and where the Iliopsoas and Rectus Femoris muscles run (deep red). It also shows a more common forward lunging position for this stretch but this is still accomplished with the trunk in a good upright position which is very important so as not to extend the lumbar area whilst performing this stretch. 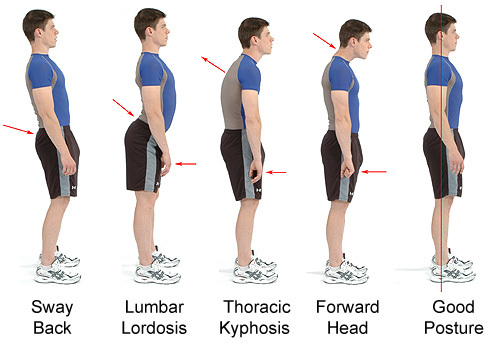 Other causes of Hyperlordosis in addition to the above are Prolonged standing, Poor posture-Slouching etc where the person feels comfortable that way but should try to be aware and break out of that habit (usually helped by stretching), Weak Abdominal muscles due to surgery or underuse (both helped by exercise), Obesity and Pregnancy which both pull the lumbar arch forward due to the weight of the abdomen. 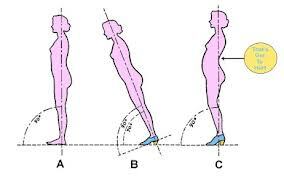 Another potential cause both of Hyperlordosis and other postural problems mainly in women is due to the wearing of high healed shoes. These are the scourge of all therapists due to the postural compensations (including Hyperlordosis) that must go on in the body to accommodate what they do the body by throwing it forward. If there was no compensation in the woman’s body then four inch heels would throw he forward at a 45 degree angle! This is not allowed by the body as our inner ear must be level and our eyes look at the horizon (generally speaking for most of the time). This forces the forward angle to be accommodated somewhere in the body shown nicely here producing Hyperlordosis as well as Hyperkyphosis and an anterior shift of the pelvis from upright. This is all pretty dire stuff but of course i realize that coming between a woman and her shoes is a dangerous place to be!! Hyperlodosis is then a postural problem and so like all postural problems we can have quite a large input upon their severity. Whilst one cannot totally escape our unique combination of bones/joints/fascia and muscles we can affect them with stretching/exercise/diet/awareness and therapy.